A popular seaside resort in the province of Teramo, its historical roots date back to the ancient village of Mutignano, located in a hilly area, and since 1929, it shared the fate of the nearby town of Atri. The town features a modern look, the area is enriched by villas, while the fully equipped beach, has an unusual background, a pine forest that offers shade and a milder climate. Along the road between Pineto and Atri it is possible to admire the extraordinary erosion of the "calanchi", while near Borgo Santa Maria, a curious geological phenomenon is featured: the small mud volcanoes. 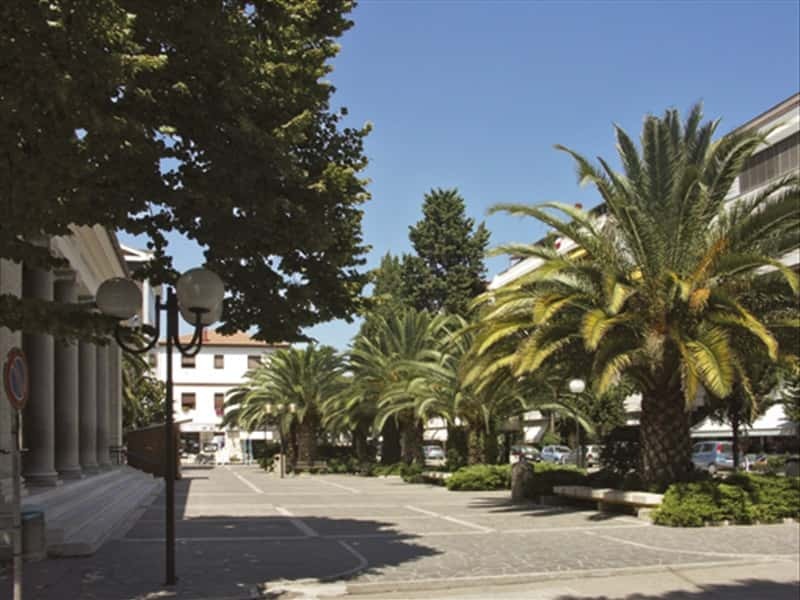 The town's current name celebrates the famous poem by Gabriele d'Annunzio "La pioggia nel pineto" (the rain in the pinewood). Interesting, in both historical and architecturally terms, the elegant pyramid-shaped Torre Cerrano, one of the region's most famous coastal towers, built in the XVI century to defend the population against Saracen incursions. This town web page has been visited 26,870 times.